In the process of helping more than 100 people start a home business, I’ve come to learn what it takes to succeed. I’ve seen lots of people hesitate to start their own business for all sorts of reasons, but they all come down to one thing – they have doubts on the inside. Often things like a lack of time, knowledge and money can feel like really big obstacles, but these are excuses that hide their inner concerns or even fears. These same doubts are also what cause many new entrepreneurs and business owners to quit within their first year – and we all know that quitters never win! The early days of entrepreneurship can be tough. You will face lots of challenges as you learn new skills, meet new people and try and get your new idea or concept in front of the right people. When you ready and resilient on the inside and have the right mindset, however, these obstacles become opportunities, failures become valuable lessons and knock-backs become motivators. Most new and aspiring entrepreneurs are not aware of this – so I decided to use my experience to develop a 5-Day Home Business Challenge that will help anyone considering starting a business – in any sector – build their inner-readiness and start creating their own blueprint for success. 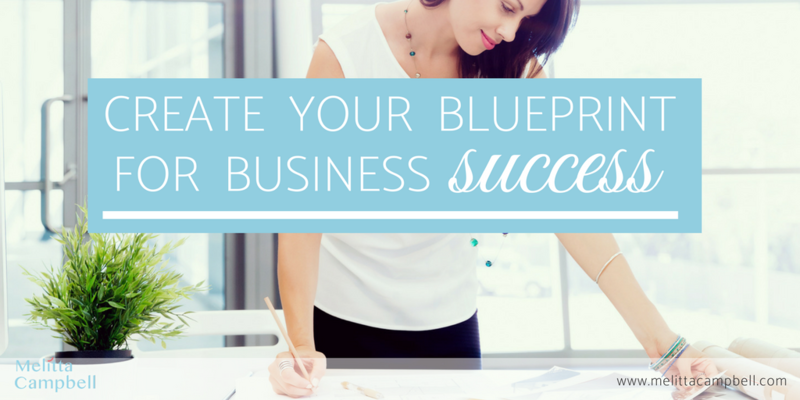 as an eCourse called: 8 Steps to Your Business Success. The first day together will lay the foundations for the rest of the week. Before starting any venture, it’s important to connect with Why you want to start and what you want it to deliver for you. So we’ll start with an exercise that will help you explore what a home business means for you, and what difference it could make in your life. Knowing this before you start your business is a key success factor. Learn more about why your WHY is so important. When starting something new, it’s natural to have fears, concerns and doubts; starting a home business is no exception. It’s important to learn how to address these effectively as they can limit your success or, worse still, stop your progress altogether. This is such a major success factor, we’ll be spending two days on this subject. First, we’ll look at how to tackle your inner-doubts and look at how to become aware of self-limiting beliefs (that little voice in your head that holds you back), and show you how you can start overcoming these. Then we’ll move onto your more practical concerns. The tools I’ll share with you can be used regularly to keep your confidence and abilities high throughout your lifetime, they are that powerful! Managing your time is another critical success factor for all entrepreneurs and business owners. Once you have complete freedom to manage your time and schedule as you want, it can be tempting to go too far in opposite direction and end up not doing anything! Learning how to manage your time and plan your activities is important, and understanding how to do this effectively from the outset will save you a lot of time and frustration later on. Our final day will bring together everything we’ve worked on in one powerful tool that will accelerate your success! The 5-Day Home Business Challenge will kick-off with an interactive webinar on 9 February that will help you start exploring what success means to you, and the simple principles you need to adopt for a happy and prosperous life. You’ll come away from this webinar with a physical map of where you want your future to take you. Deciding what to include in the 5-Day Home Business Challenge was tricky. One topic that I wanted to cover, but in the end couldn’t fit in was networking. But knowing how important networking is for success I have included a copy of my ‘Shy Girls Guide to Networking eBook as a free bonus. For those looking for a way to start a home business that is low cost and low risk, there will be a final webinar introducing a proven business model that has been working for people the world-over for forty years. Anyone deciding to take up this business opportunity will also benefit from free training and coaching from myself to help them not just get established, but to secure long-term success. Who is the 5-Day Home Business Challenge for? If you have ever thought about running your own business – even a small part-time side-hustle – this 5-Day challenge will in invaluable! You’ll get to explore what you want from your business, what assets you already have and start developing your entrepreneurial mindset. As a result, you’ll gain the clarity and confidence you need to thrive in your chosen business. Perhaps you have no intention of starting a business right now, but you have wondered from time to time if being your own boss could help you create the balance and lifestyle you want. This challenge is the ideal way to explore that idea further – at no risk or cost! If you are just starting out on your entrepreneurial journey, then you may have already started to realise that success starts in the mind! How you feel, think and connect with your business and the people and situations you encounter will determine your outcomes. This challenge will give you some of the key tools you need to build confidence and keep moving forward. Maybe you are simply curious to know more about the inner game of success, in which case you are welcome to join too. Many of the tools and exercises I will introduce you to can be applied to any aspects of life, so if you are looking for growth and challenge in your life, you may well enjoy the 5-day challenge too! 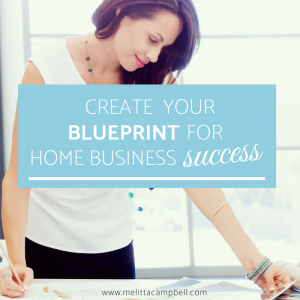 Ready to Take up the Home Business Challenge? I know that what you are going to learn and discover in February is going to make the world of difference to the success and longevity of your business – and I’m sure that by the end of the 5 days, you’ll also be a stronger, happier and more confident person too. This is your chance to create your own personal blueprint for success and take your first steps towards your dream future. The 5-Day Challenge is completely free – but with several experts telling me I need to charge for this experience as it shares so much value, it may not be free in the future. Take full advantage and sign up now – even if you don’t have a specific business or time-frame in mind yet. If you have any questions, ideas or comments, share them below or get in touch with me directly. Thanks Rawlings, having seen my content, lots of experts and coaches have told me I should be charging for the program, which I think I will in the future. But for now it will remain free, so I hope lots of people will take advantage of the opportunity and commit to get the most value out of the challenge. Thanks for this! I’ve subscribed for the free training! After having worked as an employee full-time all my life, I finally decided to take the plunge and start my own business last August! I’ve learned SO much in these past few months and still have a lot to do, but I’m very motivated and feel like I’m going in the right direction. It’s scary, of course, but I once heard that being scared means that you’re getting out of your comfort zone and growing. Plus, being scared isn’t what defines you, but how you decide to react to this fear! Not letting it stop you from doing everything you want to do! Welcome to the challenge Erika! It sounds like you’ve already made a lot of great progress! And you’re right, when you have your own business you’ll be pushed out of your comfort zone a lot as you try new things, this is important for your personal and business growth. It takes time to be able to ‘feel the fear and do it anyway’ and we’ll be looking at ways to do this during the challenge. Thanks Yissel, I’m pleased you enjoyed it. Self- doubt is a huge barrier to success. I know that, for myself, the problems I incurred in the past weren’t so much self- doubt, but rather than I would invest a large amount of time for nothing. My time is too valuable to take a chance, or so I believed. That is what held me back for so long, but not anymore! You are so right Bryan. We have so many limiting beliefs that hold us back – and most of them are not true or are no longer relevant. But life is too short to let them get in the way of our success. Welcome to the challenge Danielle, it’s going to help you gain clarity and confidence so you can start your business strong. Thank you for this great info. The training course definitely looks promising. Thanks Marina, and welcome to the challenge! Oh I like that! This is such a great idea. We never know where to start when we embark on this journey. Using our personal experiences to help others is such a great gift. Exactly – it can be daunting, but with a bit of help everything starts to fall into place, and then excitement takes over!